Sweden’s National Day celebrations at Skansen on 6 June, the nation’s hottest performers featured at the amusement park Gröna Lund and the charming hotspots of the Old Town. Summer could hardly get a better start in Stockholm. Stockholm is to many a beautiful city. The water, the architecture and the city's proud inhabitants, who are happy to lend advice to a confused tourist – these are all experiences that will make you want to return to the royal city of Stockholm. Below we have listed a few 'must-do' attractions in addition to a number of insider tips from the staff at some of our Stockholm hotels. Summer concerts in the amusement park Gröna Lund are a sure sign that summer has arrived. And June this year offers a heavyweight lineup, featuring such stars as Zara Larsson (1 June), Veronica Maggio (2 June), Tingsek (5 June), and Måns Zelmerlöv (8 June). 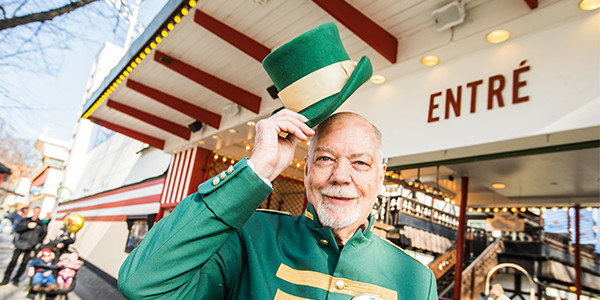 In addition to concerts, Gröna Lund also offers white-knuckle rides, dancing, wheels of fortune and everything you would expect from a true amusement park. For the bold, Ikaros is this year's novelty ride, featuring a free fall of 95 meters in a 90-degree angle. The less daring can rest assured that the classic "Nyckelpigan" (Ladybird) and "Tuff-Tuff Tåget" (Choo-Choo Train) are still featured this season. Schedule your visit, see opening hours and view the concert calendar here. From Gröna Lund there is a short walk to Scandinavia's most-visited museum, the Vasa Museum. Nearby, you will also find the ABBA Museum, the magical adventures of Astrid Lindgren's World on Junibacken and the Skansen open-air museum, all of which represent Sweden's history and diversity. At Skansen, Sweden's national day is celebrated on 6 June with plenty of family fun as well as a TV broadcast from restaurant Solliden in the evening. The island of Djurgården has much more to offer than national celebrations, museums and theme parks. Why not enjoy a picnic in the park, try horse riding or go hiking around the island to explore the wonderful scenery? 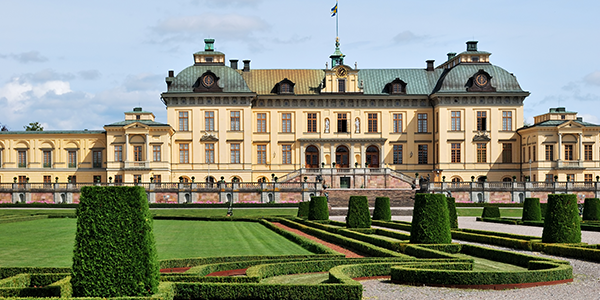 On the VisitStockholm website you can find many more tips on what Djurgården has to offer. As Swedish artist Robert Broberg once noted in a song, Stockholm is truly a city by the water. The city is built on 14 islands, and the waterways are a natural part of its urban design. 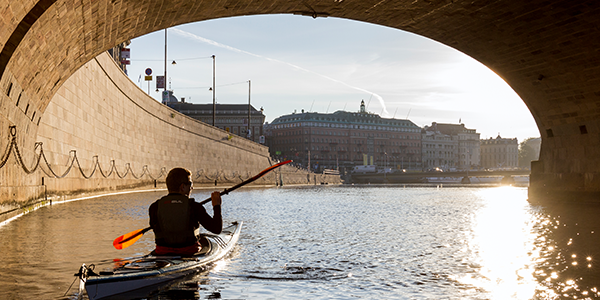 A fun and different way to experience Stockholm is to rent a pedalo or kayak and paddle through the city. A less strenuous alternative is to take a sightseeing trip under the city's bridges with the Strömma tourist boats. The trip takes just over two hours and will show you the city's sights from a new perspective. Naturally, you should also experience the Stockholm Archipelago with its more than 30,000 islands. If you are on a short visit to the city, Vaxholm, Fjäderholmarna, Gustavsberg and Värmdö are within an hour's sailing. But if you prefer spending more time jumping into the water from the sun-kissed rocks of the archipelago and experiencing the fascinating nature up close, you can also travel by public waterborne transport between the islands. A five-day pass will set you back SEK 445. As any true city, Stockholm offers a wide range of shopping opportunities. If you are interested in antiques, vintage and second-hand, Old Touch, Lotta Vintage and the other stores around Odenplan are a pure gold mine. For those who are not afraid of the hipster label there are many great and trendy stores in Södermalm, especially in the so-called SoFo area. If you are looking for souvenirs and crafts, we recommended a stroll through the Old Town. Here, the boutiques are strung like pearls on a line alongside great restaurants and cafés. However, if you are looking for shopping centres and chain stores, you can look forward to standing on top of the park Kungsträdgården, where you will find NK, Gallerian and Sweden's largest department store, Åhléns City, all within short walking distance. In-between these locations you will find all the chain stores and clothing brands you can imagine. For those who would like to venture beyond the inner city, there is even more shopping to be enjoyed in the Mall of Scandinavia in Solna and in the shopping centre Täby Centrum. You can read more tips on shopping in Stockholm here. There is much to experience in Stockholm. Moderna Museet, the Fotografiska centre for contemporary photography and Stockholm City Hall are itinerary hotspots for many visitors. This also applies to the changing of the royal guards at the royal palace. A trip to Drottningholm and Gripsholm Castle is a safe choice, too. Promenade along the Södra hilltops and enjoy the view of Riddarfjärden from the Ivar Los Park in the Old Town. Join the ghost walk in the Old Town, if you dare. Or venture on a slightly less spine-tickling yet nonetheless exciting history walk. When you finally need to digest the many impressions, you can do so by enjoying an ice cream while strolling along Strandvägen to enjoy the atmosphere. You'll probably find Stockholm's best ice creams at Gelato Scarfó in Bromma – a bit outside the city but worth the trip. Another great recreational tip is to enjoy a cup of coffee or a glass of rosé in the sun at Mälarpaviljongen. For the history buffs, a boat trip is recommended from the City Hall to Birka Viking City on the island of Björkö in Lake Mälaren. Birka was once Sweden's most important Viking trading centre. Here you can explore a reconstructed Viking village, a museum and an archaeological site. If you're into meat and steaks, it's recommended to make prior table reservations at either AG Restaurang & Bar or the top-rated restaurant Adam/Albin. If you are into vegan or vegetarian diets, Hermans on Fjällgatan is a good option. Or, if you just want a cup of coffee, you can drop by the amazing Winercaféet, which serves world-class culinary experiences. If you have time and would like to venture outside the city centre, Ekerö is a pleasant destination. Here you can enjoy a refreshing swim in the blue lagoon and visit Äppelfabriken with its café and cider mill. 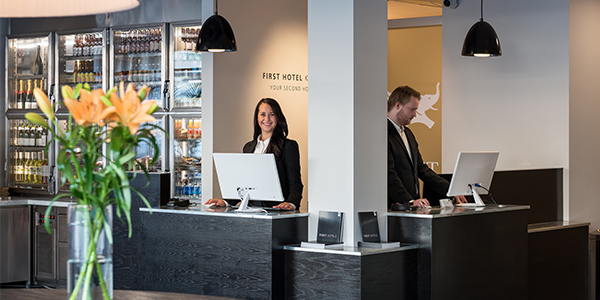 First Hotels offers a total of seven hotels in Stockholm as well as further hotels close to the city. Whether you prefer to stay close to Stockholm Central Station, by the waterfront in the Old Town, close to shopping in Sturegallerian or a stone's throw from Arlanda Airport, we are sure that you'll find a First Hotel that suits your needs. And should you choose to stay in Södertälje or in Eskilstuna on the way to or from the Swedish capital, we also have hotels there. Our advice to you is to enjoy Stockholm in the summer with its concerts and entertainment in Gröna Lund, the National Day festivities of Skansen, shopping, the archipelago and everything the Swedish capital has to offer. We hope to see you soon at one of our hotels.